As a staff writer at BuzzFeed, Lara Parker spends her days figuring out how to make list articles—”listicles”— that will go viral. And she loves it. Just last year, though, she was a recent UIndy grad trying to figure out what she wanted to do with her life. I was working at a PR agency at the time, and I absolutely hated it. I would spend most of my day wondering if this was what I was supposed to do for the rest of my life, and if so, how I was supposed to get through that, because I just felt like this cannot be what the real world is like. When she started posting on BuzzFeed, Lara’s content kept getting promoted from the community page to the main homepage. Eventually, she scored an internship in L.A., at the end of which she was hired on as a staff writer. She loves working there because of the variety of things the website publishes. We’re like the place that everyone can go to for all sorts of things. If you want to read about hard news, you can go to BuzzFeed; if you want to learn about politics, you can go to BuzzFeed; if you want to get recipes, you can go to BuzzFeed; and if you want to look at pictures of cats, you can go to BuzzFeed. 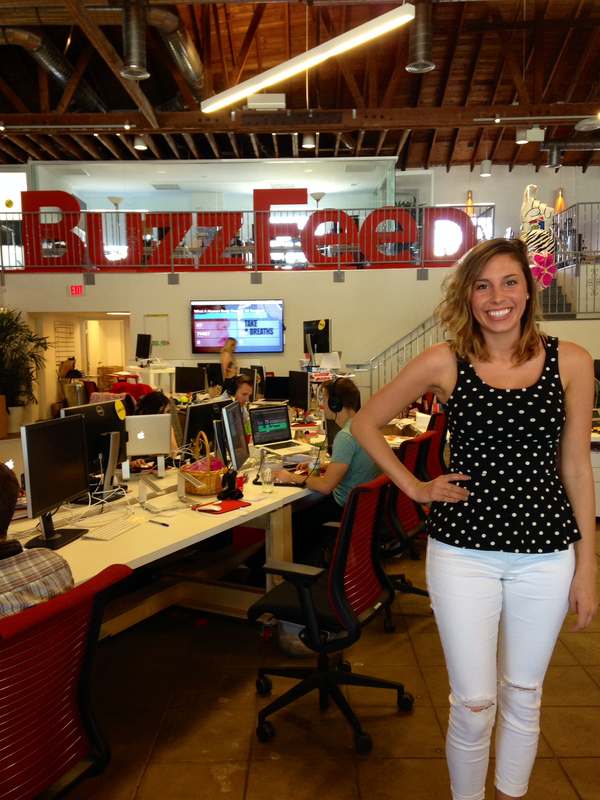 Check out my full article from The Reporter-Times about her, and the BuzzFeed itself.